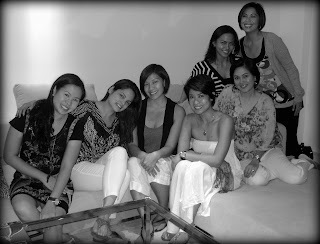 I just love it when I meet these beautiful women of God for our life group meetings. We meet every two weeks. I am supposedly the leader but really, I learn from them so much! 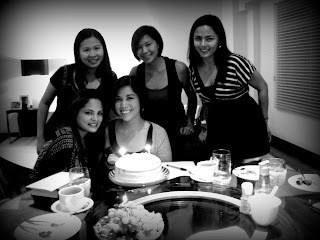 Last night, we had a little celebration for the February birthday girls. That includes me! We had an interesting conversation last night. We talked about the ways we use our tongue and how the words we speak can be either powerful or destructive. I believe that the tongue has become a powerful tool of women to engage with the rest of the world. How we use it is crucial. Sadly, we sometimes catch ourselves misusing it. The following are four good questions we need to ask ourselves before we speak (and even before we act) in order to use our tongue at all times to bring the "power of life" and not death. 1) Is this the truth? Something to ask myself every day: Do the words that I speak encourage and build up others?